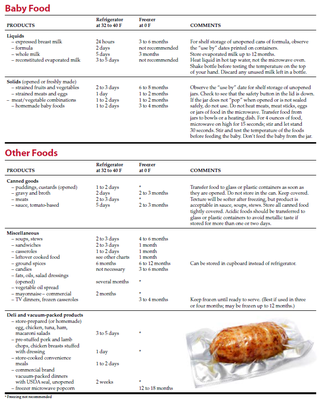 Food Storage Guide Answers the Question . . .